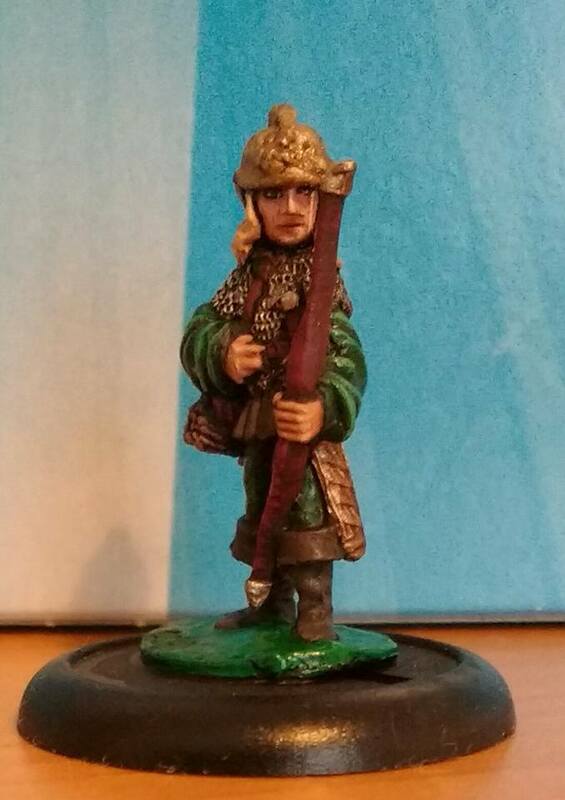 Dear Tony Blair: Ral Partha CS1 Wood Elf with Bow.....Tom Meier Old School. 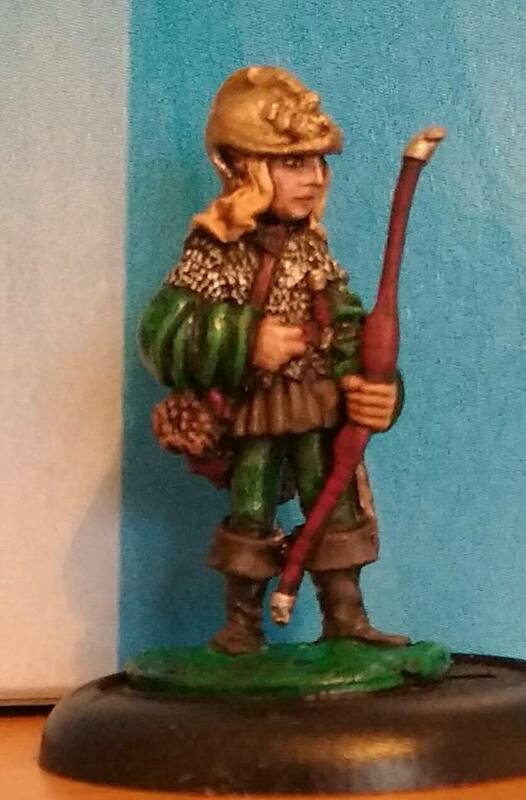 Ral Partha CS1 Wood Elf with Bow.....Tom Meier Old School. I haven't painted any of the Ral Partha Collector Series in a long time so decided to have a go on one that had turned up in a job lot. Having completed one I have the caught the bug for more but I have no idea where my box of them are so he will have to do for now. Excuse his left eye - I missed the mold line somehow when cleaning him up and eventually gave up trying to paint that eye......just need to finish the base and varnish him now. When this range first came out I was overwhelmed by the sheer beauty of the sculpts....no-one, in my opinion, had managed to capture the beauty of the Elven form like Tom Meier. Today it is different with the likes of Werner Klocke, Kev White etc but back in the day Tom ruled almost unchallenged. The full CS range is listed on Lost Minis here and also on Stuff of Legends here. I've borrowed the listing off Stuff of Legends to point out that there are gaps in the numbers - does anyone out there have any idea of anything that should be filling them? There are no catalogue clues anywhere. Iron Wind Metals have re-released a lot of them in their Chaos Wars line (here) and Tom has added a couple of sculpts to the line. Tom really is the master of the Elven form - check out his Thunderbolt Mountain sculpts here. My very first elf figure...I love the renaissance vibe of this elf range. Wonderfully characterful and a very nice paint-job too. In my opinion Tom Meier's elves have never been bettered.